New information about an odd pair of stars has contradicted the expectations of astronomers and called into question the Standard Model. 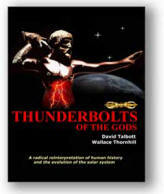 Several Thunderbolts Pictures of the Day articles have covered the topics of variable stars, neutron stars and magnetars from the standpoints of electrical engineering and plasma physics. Reports have repeatedly demonstrated the surprise and bewilderment exhibited by astronomers at heavenly objects that have defied various theoretical expectations. Now it seems that the discovery of a pulsar with a sun-like companion has once again puzzled astronomers and threatened to falsify the Standard Model. But, is such a thing possible? Can theories be “falsified” any longer, in accordance with the scientific method? Or is real science outdated? "The big question is -- how in the heck did this thing form, because it doesn't follow our standard models of how these things form," astronomer Scott Ransom of the National Radio Astronomy Observatory in Charlottesville, Virginia, said. "If you were to ask any astronomer if we would have found a system like this, they would have said no. So this is a very big surprise.” (Emphasis added). 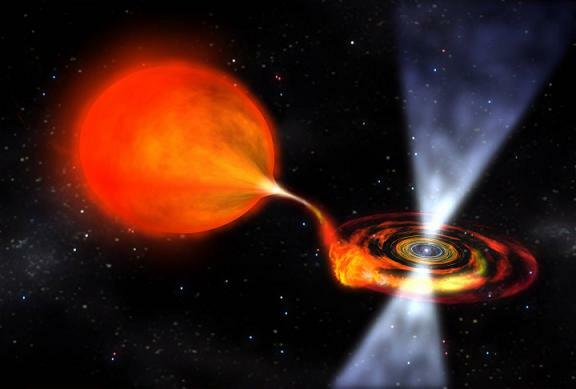 If the findings about the pulsar/sun-like star pairing are correct, it is a major blow to conventional theories. The discovery was definitely not anticipated, and more to the point, appears to have been excluded as a possibility under previously adopted assumptions. "Our ideas about how the fastest-spinning pulsars are produced do not predict either the kind of orbit or the type of companion star this one has," said David Champion of the Australia Telescope National Facility. "We have to come up with some new scenarios to explain this weird pair... What we have found is a millisecond pulsar that is in the wrong kind of orbit around what appears to be the wrong kind of star. Now we have to figure out how this strange system was produced." (Emphasis added). Astronomers are apparently grasping at straws in their attempts to explain this unexpected stellar pairing and orbital geometry. If Karl Popper’s contention is believed, that falsifiability is the test for whether a theory is scientific or not, then this recent series of news releases appears to have falsified the Standard Model. The question now is whether that fact will be acknowledged, or whether astronomers will simply sweep another predictive failure under the rug. (See Popper, Sir Karl R., Conjectures and Refutations, London: Routledge and Keagan, 1963, pages 33-39). How many predictive failures are required before a theory can be falsified? According to Popper, the threshold is “one”. One concrete contradiction is sufficient to falsify a theory and require that a new one be considered. If the Standard Model is falsified, what happens to the theories based on it such as red dwarves, supernovae, neutron stars, pulsars and black holes? Can the existing theories be salvaged, or must different alternatives be considered? Are the two options mutually exclusive, or should the field of cosmology be opened to viable competing theories and outside criticism? It is time to consider other theories that may have greater predictive success, even if it requires reexamining a number of foundational assumptions about stars and the universe in general. If electrical engineer Don Scott and plasma physicist Wal Thornhill are correct, then radically different hypotheses based upon plasma and electrodynamics should be applied to astronomy and cosmology. Theories need to be in accord with data from space and with principles about plasma and electricity gleaned from decades of research in the lab. More than 99% of the matter in the universe is plasma. Plasma is highly conductive, though not perfectly so, and there is no reason to believe that it behaves differently in space than it does in the laboratory. There is no reason to carry forward the incorrect notion of an electrically neutral universe in the face of contradictory evidence everywhere we look in space.